2019 will be a year of great potential for certain zodiac signs, however, others may experience a more turbulent year and will have difficulties moving forward. Wondering what the 2019 Tarot card predictions have in store for your zodiac sign? Our Tarot expert reveals all here! Our 2019 Tarot will give you the strength you need to ascend to a higher level and release your negative energy this year. 2019 is set to be the year you wave goodbye once and for all to your demons. All the zodiac signs can expect to experience important changes this year and 2019 Tarot reveals that each of us will go on an enthralling journey of spiritual awakening. 2019 Tarot card predictions are truly unmissable and reveal exactly what’s in store for this exciting year, so without further ado, let’s discover the 2019 Tarot by zodiac sign. If you need more insight into the Tarot cards, find out how to choose your Tarot card deck here. What awaits you and your loved ones in 2019? The only way to get the lowdown is by clicking on your zodiac sign to get your 2019 Tarot card reading predictions. One of the main themes of 2019 is hard work! Our experts can’t stress enough the importance of hard work in order to accomplish your goals. Our expert reveals the love Tarot card and Tarot card career for each zodiac sign, so don't miss out on yours! Discover the important dates for your zodiac sign in 2019. Will 2019 be a good year for you? Your Chinese horoscope 2019 has all the answers you need. Read your weekly horoscope for more essential details. 2019 Tarot cards reveal that those who work hard in 2019, will be richly rewarded. Determination and not throwing in the towel are also important factors to keep in mind throughout 2019, especially when we are so close to the finish line! 2019 is going to be an important year, so check out your Tarot card reading for each month for even more precious insight. Obsessed with the Tarot? Check your free daily Tarot card reading for more fun! In need of more guidance? Follow the Moon in our Lunar calendar 2019 for more vital information. Do you see triple digit number sequences such as 444 and 555 everywhere? If so, you need to check out our guide on Angel numbers to reveal the message. Consult a Tarot expert for more insight into 2019! 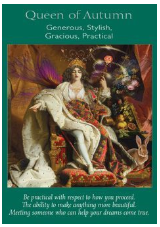 2019 Tarot highlights that Aries will experience a year of great success in 2019. New and positive energies will emerge in all areas of Aries’ life, so make sure you are well prepared for the coming changes. If you want to succeed in 2019 the Tarot cards will require some effort on your part, as you continue to grow pursuing your goals and dreams. 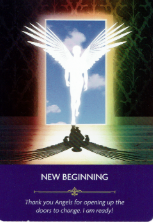 Love Tarot card: When it comes to your love life, you can expect transformation in all areas. Aries, take care of yourself in 2019, love yourself and switch to the frequencies of love and light. You are an amazing beautiful being and deserve love and to be loved. Tarot card career: Aries, 2019 is a great year to start saving for the future, your finances will improve gradually over the year making it possible to save and take care of your family and yourself. Curious about your year? Check out Aries horoscope 2019! Aries, look into your future with the help of a Tarot expert! Taurus, you are strong, you are passionate and full of energy. 2019 Tarot is set to be a year full of energy and passion as long as you don’t let little things get you down. 2019 Tarot cards are full of energy for Taurus and it is clear from the Tarot cards that Taurus has all the capacity to set their mind on their goals and pursue their dreams! Love Tarot card: Since you are very active and want quick solutions in love, this year dear Taurus, you need to take things easy and take your time; take a deep breath and be patient. Connect with your inner vibration and switch your energies to compassion, care, and gratitude. Tarot card career: This year you might experience some ups and downs, but keep in mind that everything happens for a reason and nothing happens by chance. What might seem impossible for you to understand could be a blessing in disguise later on. Want to know more about your year? Read your Taurus horoscope 2019. Taurus, find out if you'll find love this year with the help of a Tarot expert! Gemini your 2019 will be full of great surprises and changes! You will experience a major change in the way you live and see things; because you have learned valuable lessons from your past mistakes. Now is time for you to use your knowledge and glow! You will more alive than ever before this year and you’ll choose to experiment and test out the fantastic new opportunities will come to you in 2019. Love Tarot card: This year will be fantastic for Geminis in a relationship because you’ll get to spend lots of much needed quality time with your partner. The days will go smoothly with harmony, peace and love. For the single Geminis, love will be present this year and you will meet that special person capable of stealing your heart. Tarot card career: Keep going persevering with your main goals in 2019, as you are approaching a new phase where you will attend important social events and meet interesting people that will lead you to new ideas and career opportunities. Get more information on your year with Gemini horoscope 2019. Gemini, look into your future with the help of a Tarot expert! Cancer in 2019 will experience a year full new ventures and tests. All your efforts in the past will be compensated; your hard work and dedication will bring the success and expectations in all areas in your life. Keep that positive attitude within you and meditate often to connect with your inner self. The universe is finally ready to bring what you have been asking for. Love Tarot card: 2019 is the time for you to receive love and to focus on your happiness. If you don’t feel these energies in your spirits then it’s time to move forward and leave behind you any toxic relationships. Be thankful for what you already have, the love you have, and stay positive in all circumstances! Tarot card career: You will be presented with a new opportunity that will be career changing, you can’t miss out on this one, Cancer. The career of your dreams is just on the horizon! Will you be successful this year? Check out your Cancer horoscope 2019. Cancer, contact a Tarot expert for essential insights! Leo in 2019 you will receive a boost of energy that will help you to finish things that were left behind in the past. You’ll also have the chance to set yourself new goals that correspond with your new energy! Endings, conclusion, new chapters, and new beginnings await you, so get ready to enjoy the fruits of your labor! 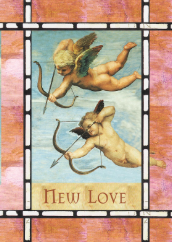 Love Tarot card: New and amazing love experiences await you in 2019. Leo, you are learning to live love by spirit, you are ready for a new level of love that will lead you to appreciate every single living thing in this world. In 2019 you will finally learn the meaning of true love. Tarot card career: Dedication is necessary in 2019, Leo. This year take more time to learn about your present career and get involved in it. Work hard this year and you’ll soon see that all your dreams will come true. Leo 2019 horoscope reveals everything you need to know about your year! Leo, look into your future with the help of a Tarot expert! Virgo, 2019 will be a year full of good surprises. Virgo knows how to get things done, and this year with the help of Jupiter, Virgo will accomplish many goals and wishes! New and important people will come into your life as you increase your knowledge by educating yourself and expanding on your spirituality. A profound contact with nature is necessary for you to replenish your body with amazing positive energy. 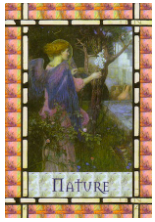 Love Tarot card: Virgo knows the deep meaning of love, and this year you will find comfort in your relationship. Overall you will be very happy this year, Virgo and 2019 will be full of loving and caring moments. Tarot card career: As the hard worker you are Virgo, you will receive the fruits of your efforts in 2019, and you will reach many goals in a short period of time. Your determination is incredible and you’ll have exactly what it takes to make your dreams come true this year. Virgo horoscope 2019 has all the secrets you need to know. Libra in 2019 you will appreciate life to the fullest, and your imagination and creativity will mean you have a blast! A year of blessings, endings and new beginnings is ahead, Libra. Rest assured that you have all the areas in your life covered, you know how to deal with stress and you know exactly how to take care of yourself. Love Tarot card: As a Libra your Ying Yang energies are very well balanced and that means that you know how to balance your relationships. This year you will enjoy quality time with your loved ones, and if you are single, this year you will find that special someone to warm your heart. Tarot card career: You have the ability to create your reality and make your dreams come true. 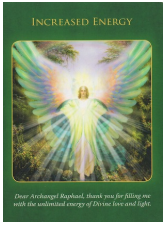 You will face important decisions in your career in 2019, so be prepared by meditating and connecting to your Angels for help and support in following your path, dreams and desires. Discover your Libra horoscope 2019 here! Libra, look into your future with the help of a Tarot expert! Scorpio in 2019 you will receive pleasant surprises and can expect a busy and fun year ahead! Travelling, spending time with new and old friends and amazing moments will fill your year. 2019 will bring new opportunities that only you will know how to approach and conquer. You have got what it takes to be successful; you know how to make your dreams come true! Love Tarot card: As a passionate Scorpio, love is always available to you, you attract love into your life because you understand the need to appreciate other people. In 2019 you will get comfortable in your current relationship and if you are single you will find the path that will lead you to finding your soulmate. Tarot card career: Scorpio in 2019 you will need to find the time to get things together and organize all aspects of your career. New beginnings and prosperity will arise in March, and by the end of the year all the Scorpions will enjoy a more stabilized life financially. Money is a powerful tool for Scorpions, and they know how to make it! Is love in the air? Find out in your Scorpio horoscope 2019. Scorpio, look into your future with the help of a Tarot expert! Sagittarius in 2019 you will experience a spiritual elevation to a higher dimension and will feel closer than ever to the universe. All your past efforts will be compensated in 2019 which will make you feel fantastic. In 2019 it’s time for Sagittarius to regain trust in themselves and take action to get what they really want out of life. Love Tarot card: Love will come when Sagittarius starts loving themselves first. Love is attraction and in 2019 Sagittarius will start loving and pampering themselves, connecting with the frequency of love and care, and attracting the right people into their lives. For the single Sagittarians, you could find love this year and start living your happily ever after. Tarot card career: Many new opportunities and ways to make money will come about in 2019 for those who born under the Sagittarius sign. Sagittarius will vibrate in a positive and affirmative prosperity and the universe will make the impossible possible. 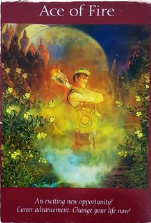 Sagittarius, be thankful for what you have now, and you will be thankful in the future, for all what you have created with your mind and positive emotions. Sagittarius horoscope 2019 is totally amazing! Sagittarius, a Tarot expert reveals when you'll find love! Capricorn, your 2019 will be blessed and you will learn to understand your inner self and life path. You will face new challenges, but this time will know how to find victory in every one of them! Capricorn is a beautiful sign of love and trust; they feel the necessity to help others. Capricorn will benefit tremendously in 2019 in all aspects in their life because it’s time for them to collect the karma credit they have been working on! Love Tarot card: The energy of love and light will attract and enforce your existing relationships. Single Capricorns will attract a brand new love full of beautiful and renovated energy that will make their lives vibrate in an amazing love frequency! Tarot card career: Capricorn is the “handyman” of the horoscope. They can perform any job with ease and grace. They are hard workers, trustworthy and honest too! In 2019 Capricorns will experience the amazing feeling of contentment. Comfort, success and abundance will flow as they move forward into their goals and dreams. Discover this year's major events in your Capricorn horoscope 2019. Get deeper insight into your year ahead! Aquarius, 2019 will be in a year of experimenting new beginnings, ideas, friends, and opportunities. Everything that was bothering you in the past will fade and transform into a brand new beginning. Aquarius people have learned valuable lessons and have developed an inner security that will allow them to follow their dearest dreams! Love Tarot card: In love 2019 Aquarius will benefit from the experiences in their past. Aquarius will focus on reinforcing their existing relationship, or finding the strength to move forward and open the doors for a brand new love opportunity. Love is always there for Aquarius to seek. 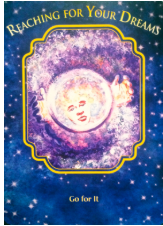 Tarot card career: Money worries are disappearing and a new comfort is coming to Aquarians. Your good energy and many years of positive thinking are now bringing you the opportunity to collect the fruits of your hard. Congratulations Aquarius! What's in store this year? Check out your Aquarius horoscope 2019! Aquarius, a Tarot expert reveals when you'll find love! Pisces 2019 will be about reinforcing a strong energy of prosperity, commitment and blessings into their lives. Pisces have been unconsciously collecting important information to make their lives easier by focusing on their goals. 2019 will be the year that new opportunities flow to Pisces. Love Tarot card: What seemed hard to understand in the past is now becoming crystal clear in 2019. Pisces will learn how to trust the cycle of life and go with the flow of their love life. Love is in the air and Pisces just needs to breathe it in! Tarot card career: Pisces knows how to grab the attention of important people and gain their trust. In 2019 Pisces will be dealing with an important decision regarding their current career. In order to make the best decision, Pisces needs to follow their heart. Your intuition will be your best friend in 2019 and will help you make the right decisions. Your Pisces horoscope 2019 is going to blow your mind. Pisces, is love in the air? A Tarot expert reveals all! I NEEDED the reassurance (Sagittarius) I've been down the entire year so far everything just feels like it's going wrong. Our expert Psychic Yoselem reveals the 2019 Tarot card for you zodiac sign and explains the card's influence on your year. 2019 Tarot card will help you clear your mind and give you a whole new perspective towards life and love. Wondering what the cards hold for your zodiac sign in 2019? 2019 Tarot card reading reveals exactly what the future has in store. Tarot 2019 predictions will give you an exciting glimpse into the future. The Goddess of the Moon is associated with magic and the intuitive nature of women. Chase your dreams and be determined! Amazing surprises will come your way. Dig a little deeper into the situations and relationships in your life. Energy levels are set to run high and goals are going to be achieved! Spending time with nature helps heal. Release your creative energies and let them flow. Show how powerful and creative you are. The future is bright, stop worrying. A new relationship is budding! New opportunities are on the horizon. The Tarot is a traditional reading that has been around for thousands of years and provides us with an insight into many aspects of our lives, including love, relationships, our careers, our wellbeing and not forgetting our future. Read more about this fantastic art now! What are the different Tarot cards? There are numerous tarot cards out there, find out what they are now! How should you choose your tarot cards? Everything you'll need to know about your tarot cards! Our experts are available to answer all of your questions right now! So, why not choose from our selection of advisors and kick start your quest for answers and enlightenment regarding your future, right now?!. To help you make your choice, check out our advisor's specialities, tarifs and reviews.